Dark Matters label head Amirali returns with the expertly crafted Odyssey EP, employing his vital understanding of space and texture to construct a highly emotive release featuring a remix from Fort Romeau. The three track package is out digitally on May 14th followed by the vinyl release a few weeks later. 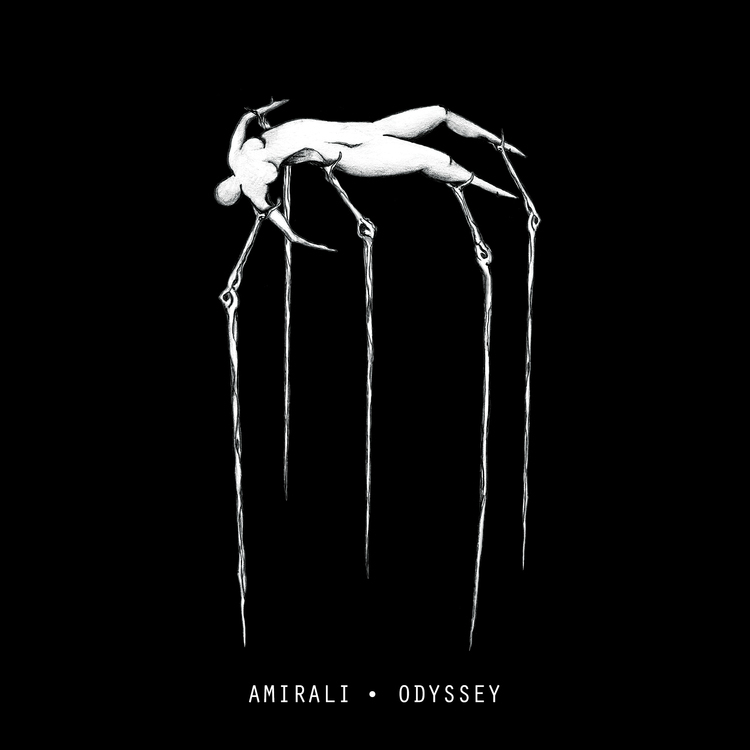 ‘Odyssey’ is a striking example of Amirali’s penchant for songwriting, as well as a testament to his sonic identity, merging memorable harmonies with heartfelt vocals and complex soundscapes. ‘Hidden Past’ veers more towards the dancefloor, brandishing vast sonic explorations and levitating pads amongst detailed drum patterns. For the ‘Hidden Past’ remix, Fort Romeau mutates the delicacy of the original into a spaced out dose of peak time house, gradually building rich harmonies around a fierce rhythmic motif. “Nothing is more important than my craft which is the main reason I’m here. There’s no better satisfaction than to create an amazing piece of music, that’s my happiest point in life. I don’t want my work to just be good or ok and that takes a lot of effort and sacrifice in life. I got to a point where I said to myself I have to go and disappear for a while, go be normal and do normal things. Instead of being on the road all the time, stay home, create an environment I like to write music. There have been many experimentations involved in my upcoming material. I wanted to try and push myself to the limit and I believe I’ve succeeded. For me, it’s all about evolving and exploring areas I haven’t touched. That’s why sometimes it takes a bit longer than expected, I don’t just want to meet people’s expectations, sometimes I want to blow them away. There is so much music coming out week in and week out, the music is evidently becoming more disposable and I would like to stay out of that chaos. 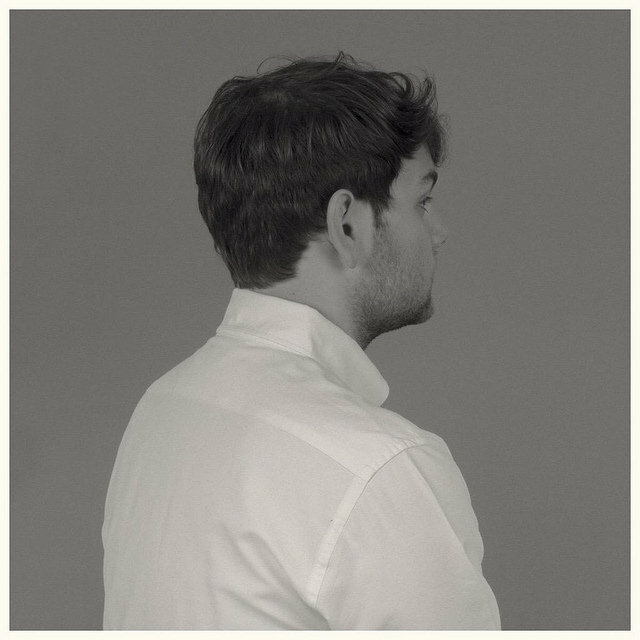 UK based DJ and producer Fort Romeau presents a deeply ethereal and atmospheric excursion with ‘Reasons’, his first self-released EP that showcases the scope of his hypnotic sound profile. Following releases on Ghostly International, Cin Cin, Running Back and Live At Robert Johnson, For Romeau delivers his first original EP since last year’s ‘Secrets & Lies’. He’s touched on a variety of motifs throughout his career, from acid to more delicate styles, now he offers the full package with his latest release. The EP, ‘Your Good Times Are Just Beginning’, comes out this Friday November 18th via City Slang and features remixes by Fort Romeau, John Roberts & Daisuke Tanabe – more information below. To accompany the EP announcement, Gold Panda has shared a new video for title-track ‘Your Good Times Are Just Beginning’. Filmed in Norwich Arts Centre by Robbie Knox, the video was edited by and features imagery from Gold Panda’s touring visual artist Dan Tombs, who has also worked with the likes of East India Youth, Jon Hopkins and Blanck Mass and has spent the majority of this year touring with and developing the Gold Panda live show. Having previously re-worked the Panda track ‘Community’, Berlin-resident Fort Romeau once again takes the reigns with a gorgeous, nine-minute pulsing, percussion driven recreation of the track ‘Time Eater’ complete with ghostly synth motifs that twirl around Japanese instrumentation culminating in a frenetic release. US producer John Roberts, who himself released one of the best deep house records of the year, remixes ‘Chiba Nights’, transforming it into a thumping, acid-tinged affair that mixes space and warped electronics beautifully. Its been 12 months since Cin Cin’s inaugural release and to celebrate co founder Fort Romeau (Ghostly Int. / Running Back / Live At Robert Johnson) gives us 2 cuts of arpeggiohouse while Honey Soundsystem’s Bezier delivers that top tier Hi NRG sound that has become his signature. Not a bad way to mark the label’s first birthday. Cin Cin 05 follows a series of split 12’s from Fort Romeau & Nick Hoppner, Todd Osborn & Laurence Guy, V & Ripperton and Bwana & LOR. With his original productions Kauf has achieved that nearly impossible feat of making dance music that is also song led and lyrically deep. There just aren’t that many records that work in the club and also explore the emotional conflicts and internal struggles that life poses. His debut album ‘ReGrowth’ is out in August, but before that he’ll be releasing a few more tracks alongside equally staggering remixes from some of the electronic worlds greatest underground talents. Look out for ‘A Ruin’ coming soon with remixes from Man Power and Blue Hawaii…. Taken from Fort Romeau’s EP ‘Secrets & Lies’, which is set to be released on January 15th via Frankfurt label Live At Robert Johnson. Vinyl available (http://bit.ly/1mNYtgA). Video edit by Stefan Haag. Preview the whole thing below. When introducing the world to his sophomore album, Insides, Fort Romeau explained how preparing and performing in certain European clubs informed his creative process. The attention to detail and patient composition mirrored his sets at places like Robert Johnson in Frankfurt, where he could develop a rich musical narrative over the course of multiple hours. And now, Frankfurt Versions springboards from Insides’ slow-burning dancefloor into the next room over, where hearty club grooves dominate the soundsystem. Spectral Sound has assembled four distinctive but complementary producers to flesh out Fort Romeau’s remix 12″. Dial Records vet Roman Flügel builds on vaporous atmosphere and snappy movements for his densely layered version of “Insides”. Tackling “Lately” and “All I Want”, Robert Johnson regulars Orson Wells and Massimiliano Pagliara display their love for bassline-driven dance music. And the Tuff City Kids outfit (a.k.a. Gerd Janson and Phillip Lauer) delivers two interpretations of Insides closer “Cloche”: a chunky “Club Mix”, and the digital exclusive “Disco Mix”, which lives up to its title with high-stepping beats and generous cosmic sparkle. Frankfurt Versions doesn’t just wrangle together Fort Romeau’s cohorts and contemporaries, it illustrates their vitality in spades. 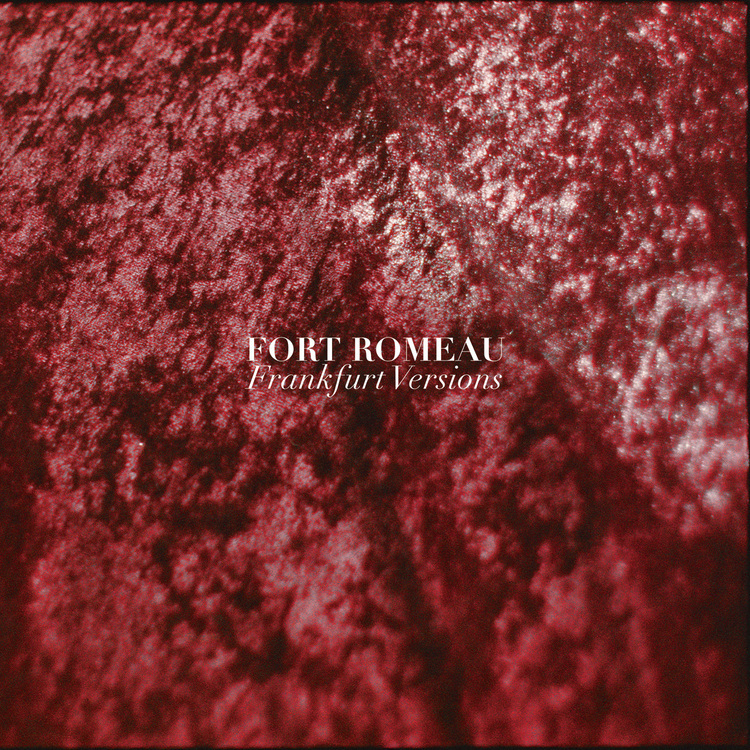 Fort Romeau’s Frankfurt Versions EP is out now on Spectral Sound. London house producer Mike Greene aka Fort Romeau delivers a great rework of Lindstrøm‘s disco single “Home Tonight”, featuring vocals from Grace Hall (of Skin Town). We’d expect nothing less from Fort Romeau. The single is out on April 20th via Lindstrøm’s Feedelity imprint, drops on April 20th, featuring also remixes by Graff and Obey City. We’ve already heard Andreya Triana‘s “Gold“, the lead single from the Soulful Londoner’s highly anticipated album, ‘Giants’, out on Counter Records on March 23rd 2015. The single is out on March 16th and is supported by the Momentum Music Fund. A testa-ment to her love of music and an expression of her joy of singing and songwriting, “Gold” is a confident and self assured track. A joyous stomp of a single, combining an incessant beat with Andreya’s raw, layered vocals, “Gold” is sure to captivate and inspire the listener. You can now stream four great remixes of the track, by the likes of Hackman, Fakear, Nikich and Fort Romeau (here). Andreya plays Village Underground on April 2nd and releases her new album ‘Giants’ on May 4th.